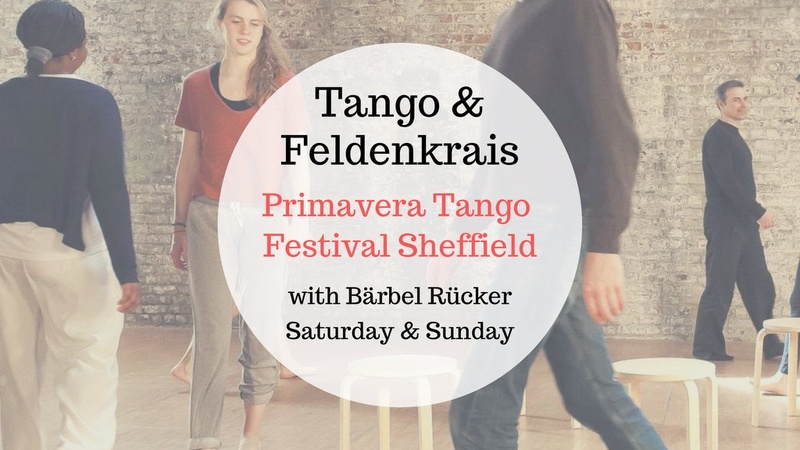 I am very much looking forward to DJ the opening night milonga at the The Sheffield Tango Festival and to present the power of the Feldenkrais Method in my two Tango & Feldenkrais workshops on Saturday & Sunday! I am looking forward to return to Sheffield’s monthly milonga Cambalache after my first visit in April 2018. It was a great surprise to be able to teach together with Felipe Slimobich from Argentina a musicality workshop. In December 2018 I will present one of my special technique workshops ‘Tweaking Your Tango’ before the milonga. This will enable you to enjoy my music even better. 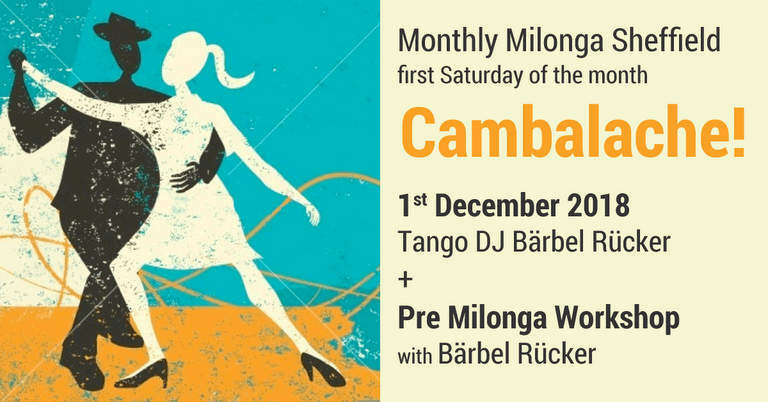 The monthly milonga ‘Cambalache‘ is organised by Anna Jorgensen & Angie Lawrence. Don’t miss out on my next visit to Sheffield! Come and dance at this friendly, welcoming milonga with home made empanadas. We are warming up with a special workshop ‘Tweaking your Tango’ with Bärbel Rücker. She is a qualified Feldenkrais practitioner and with her knowledge about learning and the body the tango lessons become much more than that and reflect back into your daily life. 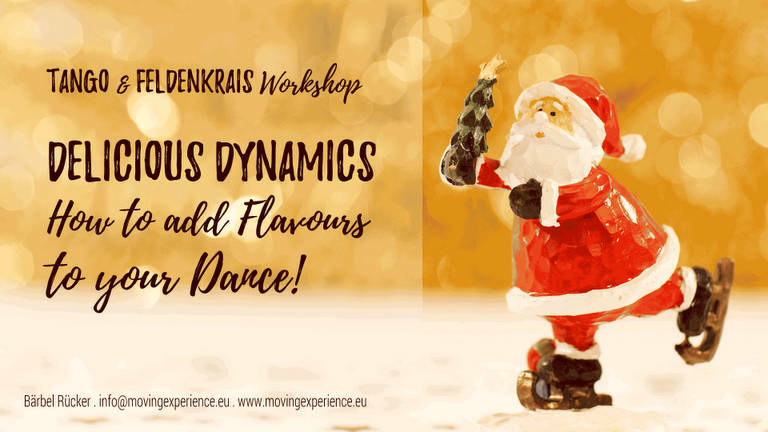 Delicious dynamics – how to add flavours to you dance. In this workshop we will work on how to be relaxed and fast as well as to be balanced and slow. Your DJ will be Bärbel Rücker on Saturday 1st December 2018.